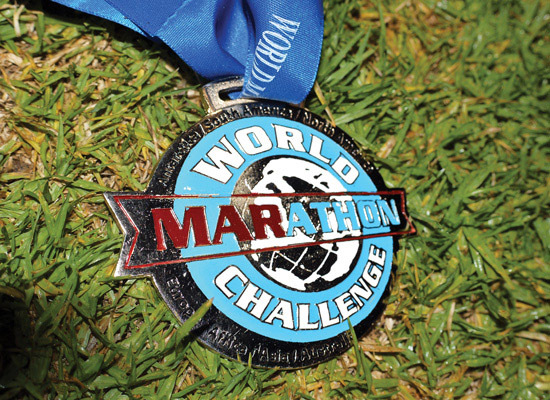 Seven marathons on seven continents over seven days – the World Marathon Challenge (WMC) is an amazing logistical and physical challenge that seems unachievable, even for the young. But at 60, when the average Indian plans on hanging up his boots, Krishna Prasad and Uma Chigurupati ran from Antarctica to Australia in a week! In the process, they became the only couple in the world to do so in six days, 18 hours and 30 minutes. Uma has also become the first woman to complete a half marathon on all seven continents in seven days. In demanding conditions that varied from -15°C to 20°C, the couple fought difficult terrains. They were taken to Union Glacier deep within the Antarctic Circle to begin their challenge, along with several other participants. After the first marathon commenced on the frozen continent, they had mere 168 hours to complete the WMC. 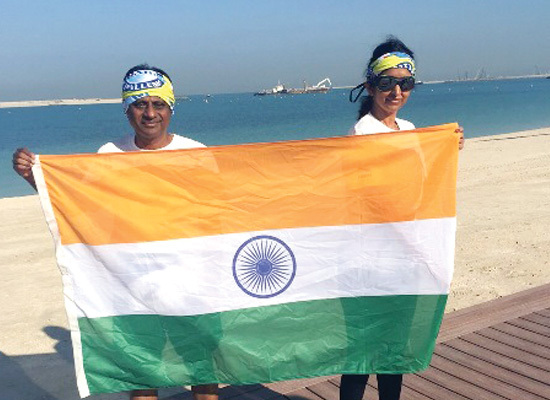 Uma and Krishna have been running marathons for ten years, and the urge to face a more challenging feat landed them in the WMC. The couple ran 148 km over seven days, of which 59 hours were spent in the air. They flew approximately 38,000 km to traverse Union Glacier (Antarctica), Punta Arenas (South America), Miami (North America), Madrid (Europe), Marrakech (Africa), Dubai (Asia), and Sydney (Australia). Krishna and Uma are among the best-known Indian couples to have run marathons on several continents, including some tough races in Kenya, through the Gobi desert, in the Australian outback, and on Antarctica. They are part of the Marathon Grand Slam Club, and hold the Guinness World Record for being only couple to have run at both the North and South Poles. And even this WMC attempt has been recognised by the Intercontinental Marathon Club. “We were looking for more challenges. Very few people in the world have done both the seven continents and the North Pole. We did Atacama Desert last year, and with its live volcanoes, it was one of the toughest runs. Then we heard about the WMC but decided to only run half-marathons. We set out with ten other people from eight countries on this challenge,” added Krishna. The first run started at Union Glacier on the night of January 16. Within 22 hours, the couple had completed the South American leg in Chile, while the North American run started in Miami at 7.30 am on January 18. Thirty-six hours on from Miami, they completed the European leg in Spain and the African leg in Morocco. These runs took place at all times of the day, including the middle of the night. In Asia, they started the Dubai race at 8.30 am. 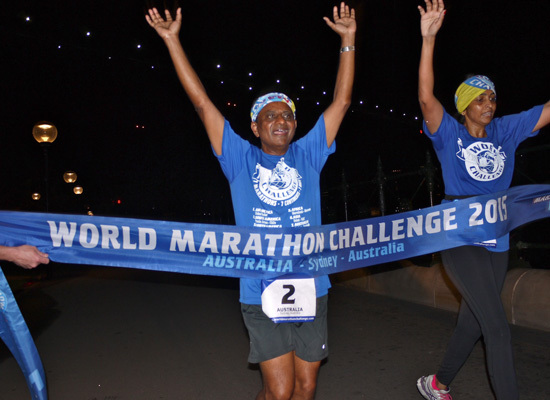 Within 30 hours, they had completed the Australian leg at Sydney, a midnight run. From running through the glaciers of Antarctica to braving winds at 55 kmph, the couple has many tales to regale us with. One of them is when Uma lost her way in the woods of Australia and had to restart the race after finding her way back to the starting line. “It was night, and we had to run through tracks and woods in Australia. After covering a decent distance, I lost my way. Clueless, I followed a light, and with the help of some locals, I managed to get to the start and finish the race,” said Uma. The couple usually began their races together, sometimes taking off at different speeds. But when it’s sort of difficult, they go through it together. Their run at the North Pole was one such event; visibility was very low, and Uma could barely see due to watering eyes.